I think I've featured this one before, but I can't remember. 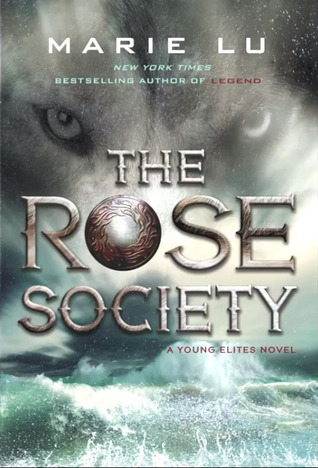 I really liked The Young Elites, the first book in the series. I'm excited to see the next one! Oh good choice. So looking forward to this book too! My WoW features my favorite fictional detective in a roundabout way. Happy Reading. YES! Amazing pick. I need this book after the way that The Young Elites ended. I need more Adelina. I heard of this book and can't wait for this book my self. My girl GeekGirl On The Page got to meet her at Bookcon this year, sooo jealous. great pick this book will be on our shelf when it comes out also. thanks so much for sharing. This is a book I am sure many are greatly anticipating, I know I am. Marie Lu is a great author and I can't wait to see how this series will continue. Nice WOW! Yes. This one is very popular this week for WoW and at my library with the kiddos. I'm going to have to try it sometime soon. Happy reading. YES! I am BEYOND excited for this one. I just really fell in love with The Young Elites and (in my opinion) it's Marie Lu's best. I can't wait until this one comes out! !